Although I got a cold for Christmas, I'm feeling better now. My youngest daughter Dr. J and her husband were in town after Christmas, and spent New Year's Eve with me. We watched Big Bang Theory all night, drank a little wine, and went to bed. We had gone to the Mongolian Barbeque for dinner with runner girl and her guy. New Year's Day I went to my son's house for dinner. I didn't go back to work until Wednesday. A bit of knitting happened. I knit a pair of mitts for Dr. J's husband. 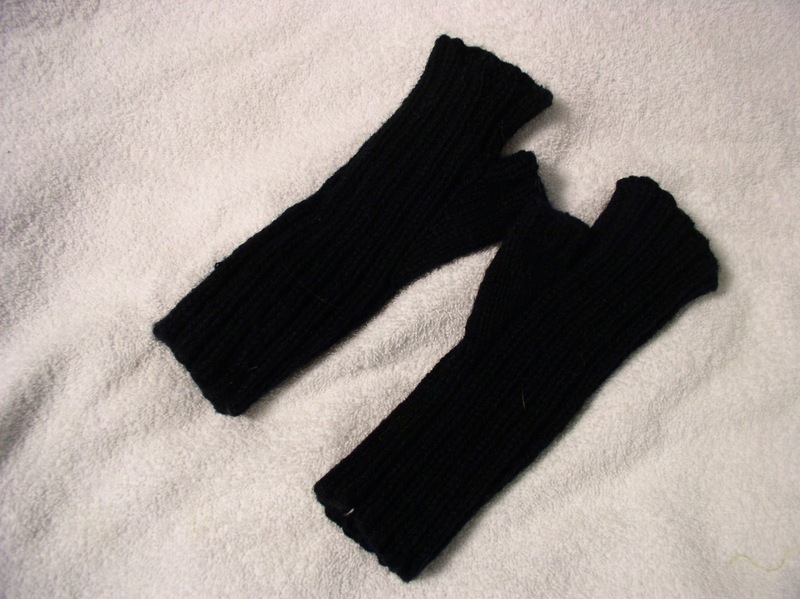 I made them ribbed, because he didn't think he would wear them, That way Dr. J could use them. She asked for a cup cozy. I made two of them. 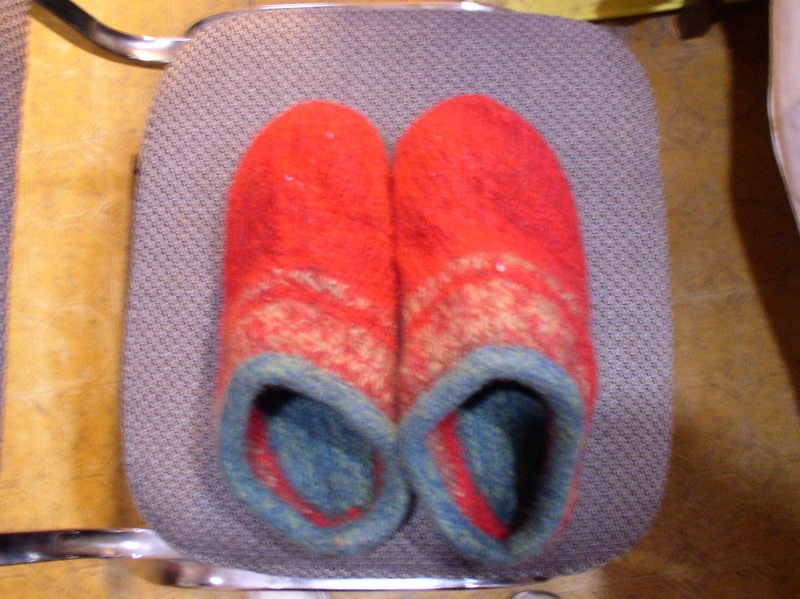 I also knit a pair of felted clogs from the ever popular Fiber Trends pattern. 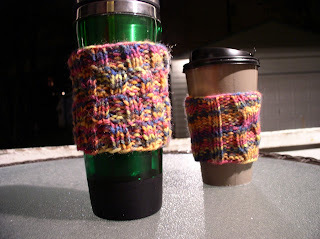 I need to knit more of these in the coming year. I now have the children size pattern, so some of those will be knit as well. Probably the best gift was one that came late. 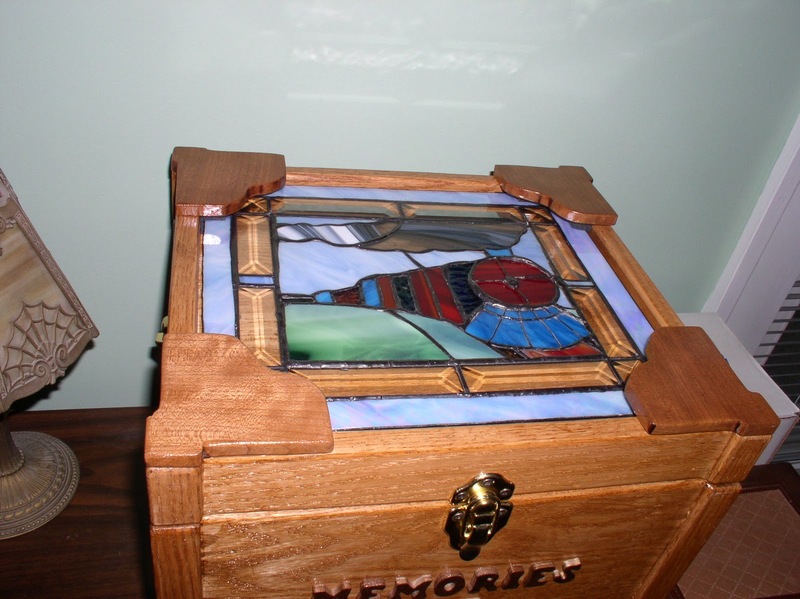 It was a joint effort and waited for the finishing touch, the stained glass made by Dr. J. 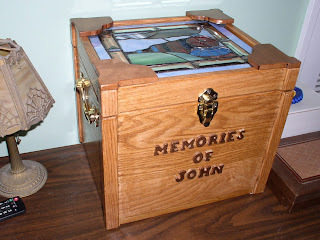 It's a box for all the memory things from my husband. I have the sympathy cards, the guest book from the funeral, and a number of other things, like a lock of his hair. They included one of our favorite photos of him. 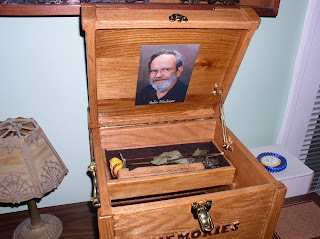 Also in this picture is a train whistle and a rose from the funeral. I love the train on the top. It's stylized and really represents his love of steam railroads. Now that all the gifts are done and delivered, the last gifts went to Florida with Dr. J, I'm on to other things.One of my goals this year is to read 12 books that I already own. I have no particular plan, but I'm keeping a list. I started with The Opinionated Knitter by Elizabeth Zimmermann. In it I found a headband pattern that seemed meant for little bits of bulky yarn. 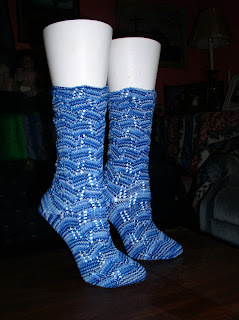 Another goal is to knit 12 different patterns from ones I own on January 1, 2012. This qualifies. The second headband was an odd ball that I got as a designer perk. I also finished a pair of socks. I have the pattern written, but the photo isn't in yet. 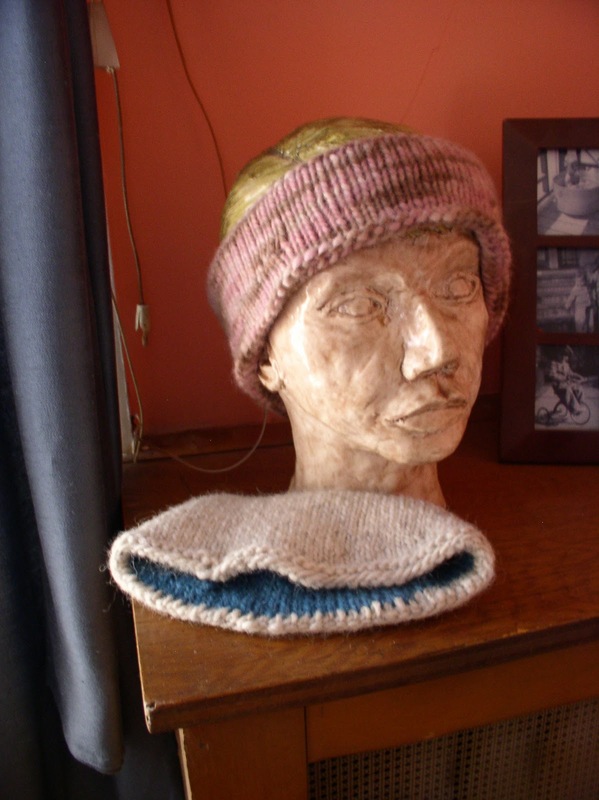 I'll go over the copy and publish it on Ravelry. It's the first pattern in quite a while. I haven't quit designing, just writing up the designs. Your memory box is beautiful!